PROVIDENCE, R.I. — The U.S. Navy has signed a lease to add solar panels to land it owns near a naval station in Rhode Island. 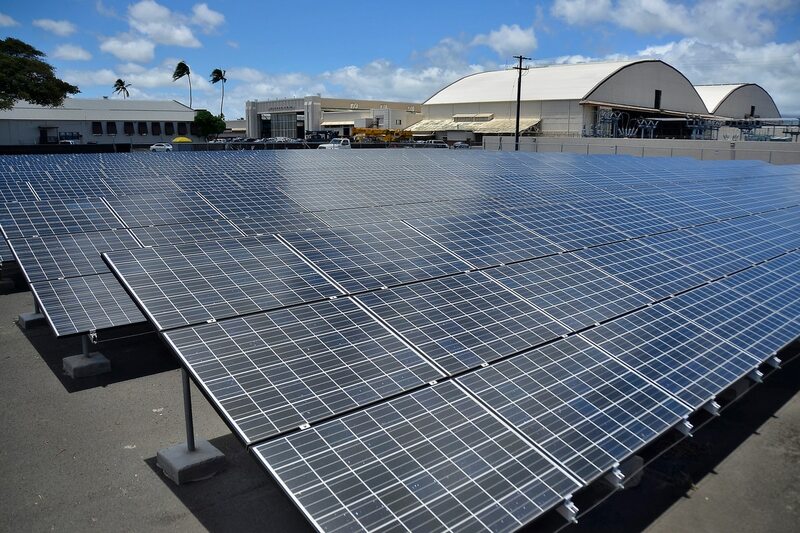 Naval Station Newport says the Navy and Solar Breakers, LLC signed a 37-year lease to complete a large off-base solar photovoltaic facility and a combined heat and power plant at the station. The planned 21-megawatt solar park is scheduled to begin operating in the summer of 2019. It will be located on 75 acres of Navy-owned land north of the main installation, bordering the towns of Middletown and Portsmouth. Solar Breakers will build, own, operate and maintain it. In exchange for providing the land, the Navy will receive the combined heat and power plant. The station says that reliable energy is critical to its mission.